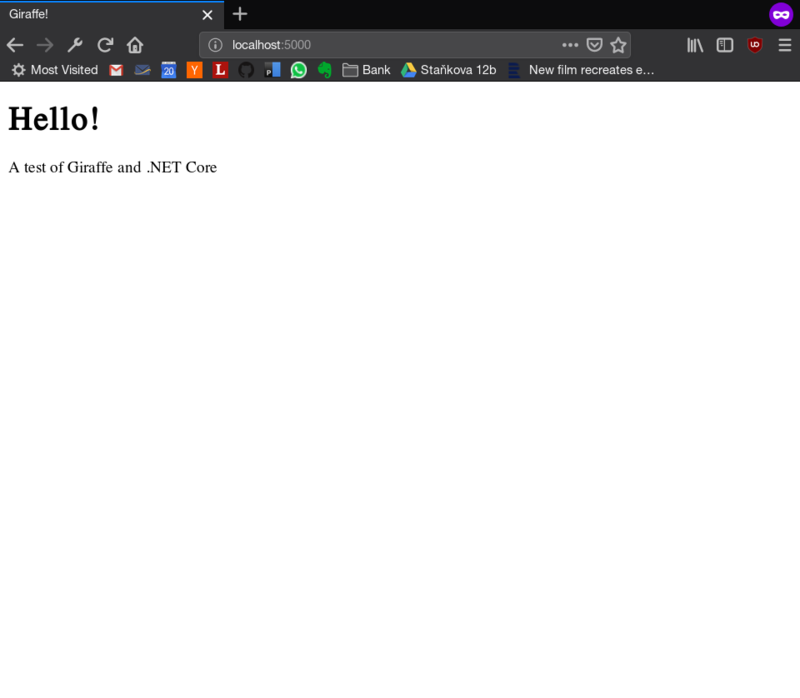 tl;dr - If you want a barebones .NET web app written in F# with Angular and Giraffe all hooked up already then clone my giraffe-ng repo on GitHub as a starting point. If you want to know the steps involved in setting this up, then read on. 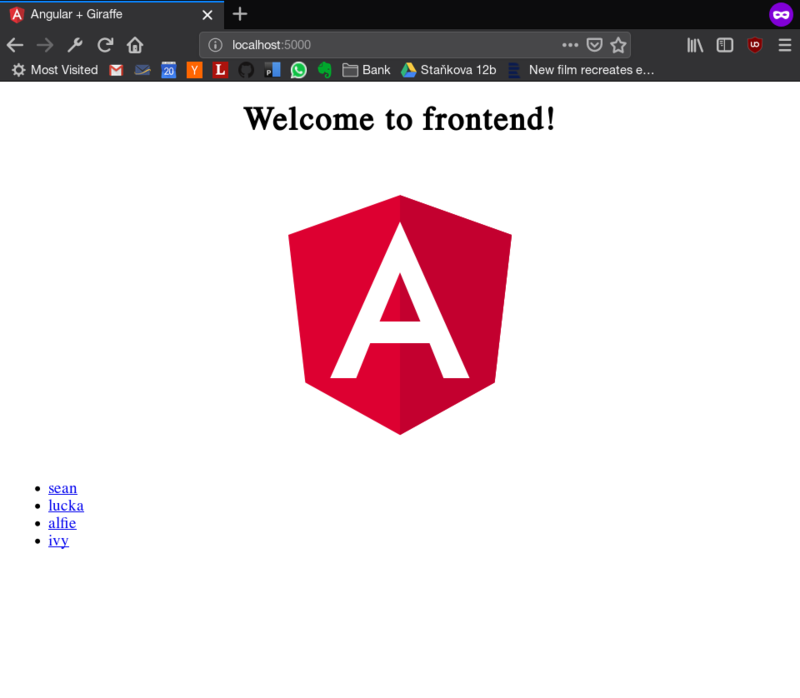 We'll now create a simple landing page using Giraffe's own view engine just to test everything is working. What we want to do is take the Angular application and serve it with out F#\Giraffe app via the route "/app" - so that viewing http://localhost:5000 will serve the Angular app that was previously served by NodeJS on http://localhost:4200. 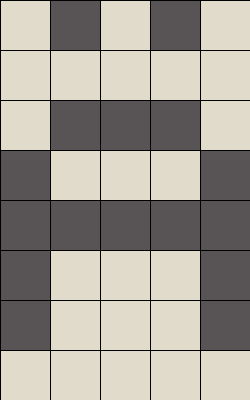 We'll start off by making sure our application is setup to find all its resources under the /app route. 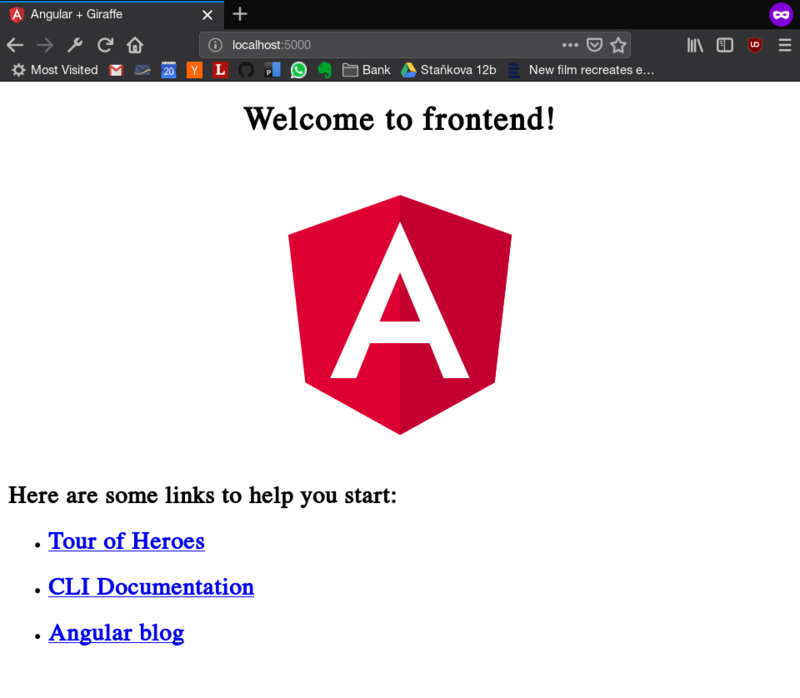 So there we are, an Angular frontend served by Giraffe and F#! 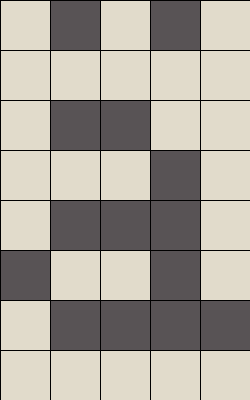 Just for reference the completed app is available on GitHub under my "giraffe-ng" repo. So 'a up to 't ... but then numbered 'as after that. I've no idea why it stops at 't, then just counts up from 'a. Interestingly this is the case with F# under Mono on Linux and under the official MS runtime on VS2017 on Windows. OCaml, which F# is heavily influenced by, does not exhibit this behaviour - it refers to the unknown types as a..z, a1..z1, a2...z2, etc. It turned out we hit some line-length restriction in either the parser or the readline equivalent that fsi.exe uses. A bit of experimentation later I found that when the function had 429 parameters it parsed just fine ... but 430 parameters caused the warning. When I changed my program to start each parameter with the Georgian character "ა" (i.e. let bar ა0 ა1... etc) which cannot be represented in a single byte in UTF-8 we hit the error after only 162 parameters. 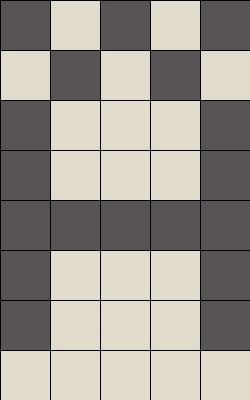 So it's not a character limit, but a buffer of bytes that we filled - and the size of the buffer is ... uh 4096 bytes. So it seems we've bumped up into another limit - somehow 1327 parameters is ok but F# loses track of the 1328th one, thinking it doesn't exist. 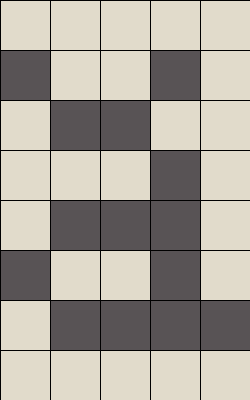 Is this a bug? Probably, there should maybe be a more helpful error message. Is it important? Probably not, if your code contains a function with upwards of a thousand parameters then this is the least of your problems. Grammatical cases are a common stumbling block for native English speakers learning another language. This might be because cases are sort of invisible in English and they're not taught in school so it's it's hard to see why they would even matter. However in languages like Czech cases are a really important concept, and if you don't wrap your head around them you'll struggle to make yourself understood. To fully comprehend this importance we need an example - Petr and Pavel, who are not friends. 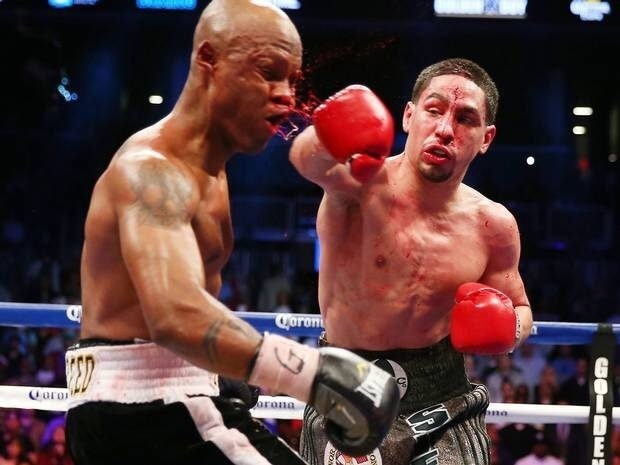 However this isn't quite enough because it's not actually clear who is punching who. You can rearrange this sentence in many ways in Czech, so our sentence can also read Pavel bije Petr and bije Pavel Petr etc. So how do we tell our Czech friends who is the puncher and who is the punchee? Through the magic of cases! In Czech we indicate the subject (puncher) using the nominative case. In our sentence this is Petr and the nominative case of Petr is simply Petr. So hopefully you can see why exactly cases are so important, if you don't learn them you're going to confuse a lot of Czech people and have a lot of frustrating conversations. Let's take Petr and Pavel and explore some other cases. addressing Pavel requires vocative case of Pavel = Pavle! This is only a quick-n-dirty summary restricted to the seven Czech cases, but it should indicate why each case is important. 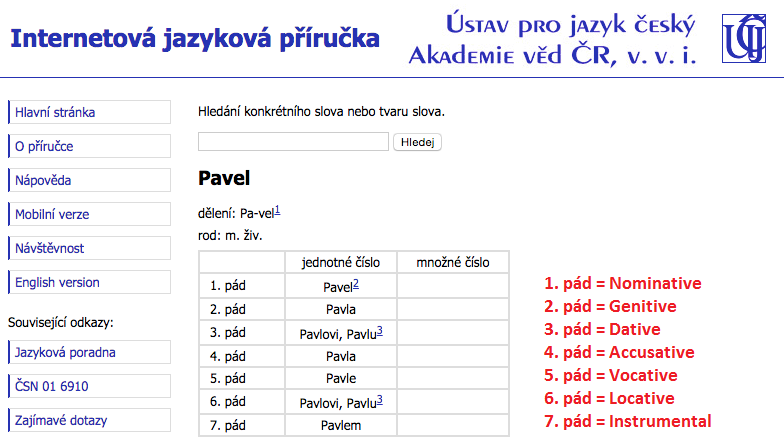 The Ústav pro jazyk český Akademie věd ČR (Language Institute of the Czech Academy of Science) have a really useful page if you want to see what a word looks like in different cases: http://prirucka.ujc.cas.cz. Just enter your word into the "Slovníková část" section and hit "Hledej"
However after a lot of head scratching and googling turned up nothing my colleague realised that this environment was missing the Windows Server Hosting bundle, available from the .NET Core downloads section under the "Other Windows Downloads" section. Once this was installed everything worked as expected. I've been learning Czech on and off for the last few years, but now and again I discover that there are some basic things that I never quite learned properly. The most recent of these was my ability to tell the time. When I wanted to learn this properly I found that there are very few places that teach this at the level I wanted - they were either too simplistic, misleading or written in a way that is much too hard to quickly digest. I ended up writing the below for myself and for anyone else who wants to learn. 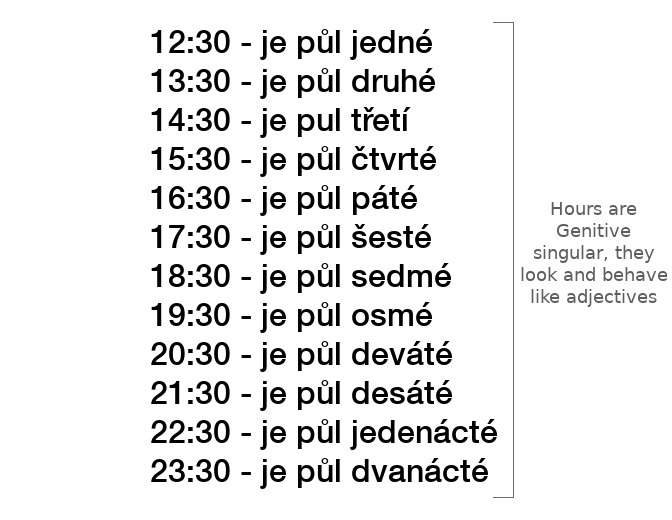 Times that in English are exactly half past an hour in Czech are said to be a half of the next hour, so instead of "half past one" we say something like "a half of two". There's a minor complication - the hour is given in the genitive singular feminine. They behave like adjectives because ultimately they are adjectives modifying the noun "hodina". 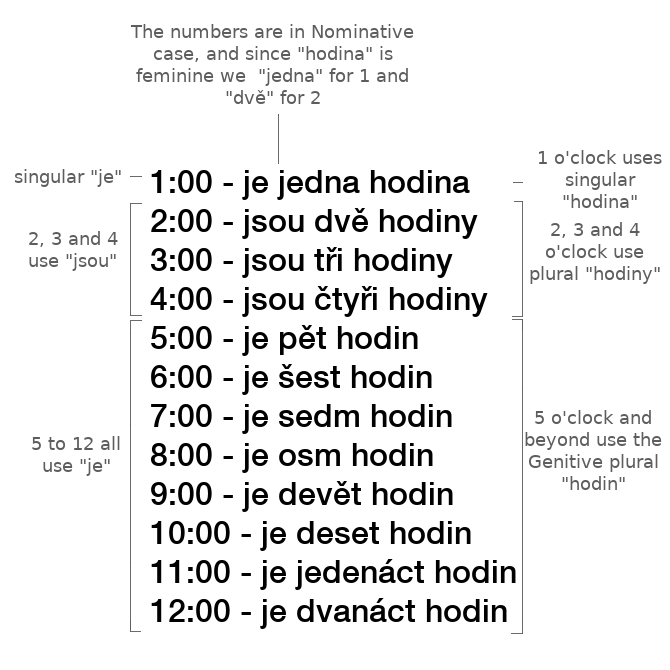 So je půl jedné means "it is half of the first (hour)"
Finally for minutes before an hour, we write something like "in M minutes it is H o'clock" - so 1:50 this is "je za deset minut dve". Again we have the "beer plural" for minut - minuta, minuty, minut. When reading from a watch, computer of phone it seems many Czechs will just say the hour and limit component separately. For example the other day when we were leaving the Maximus spa my girlfriend asked the lady at the counter what time the shuttle bus to the nearest tram stop left, she pulled up a schedule and said “šestnáct dvacet” - 16:20. 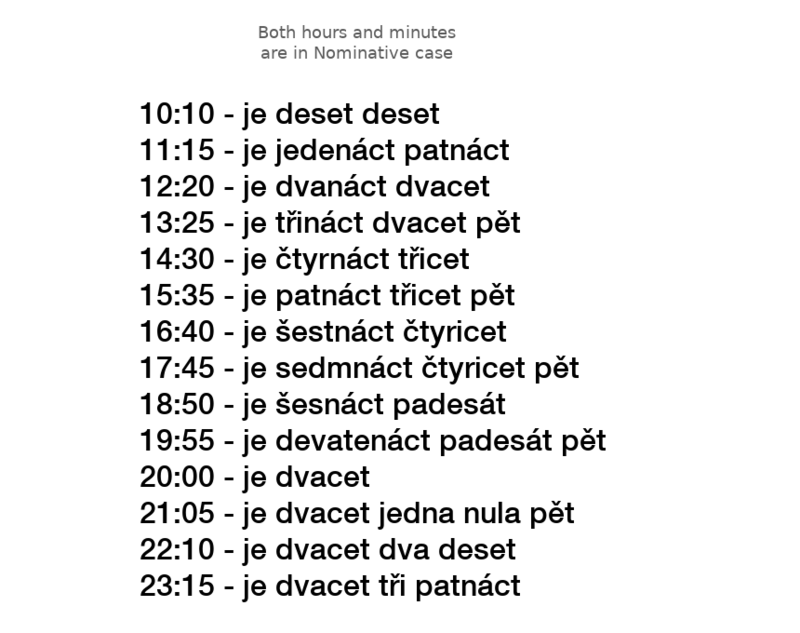 The only quirk is 1-9 minutes past the hour where you say the minutes with a leading nula - so 16:05 would be šestnáct nula pět. Using Firefox on Debian 9 is a little frustrating as the packages available from default APT sources are older “ESR” releases (firefox-esr, 52.0 at the time of writing). 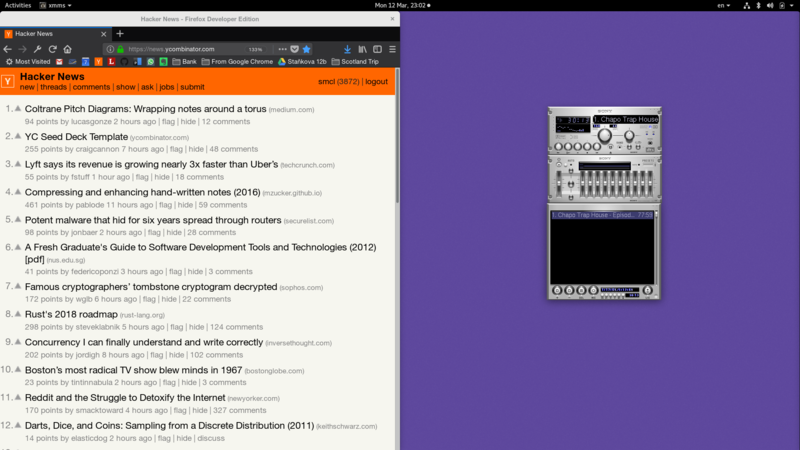 Getting the Dev or Nightly builds is pretty straight forward but if you use Gnome you probably want a launcher, and it might not be very obvious how to do this. Copy the icon and run gtk-update-icon-cache so that the icon appears as expected. For updates you can clean out the directory and repeat the process with the latest tar.bz2 file ... or you can change the permissions in the firefox-dev directory so you have write access, and auto-updates will work.